Jonathan M Katz reveals in this morning’s New York Times that the United Nations has finally admitted responsibility for something everyone has known for years. 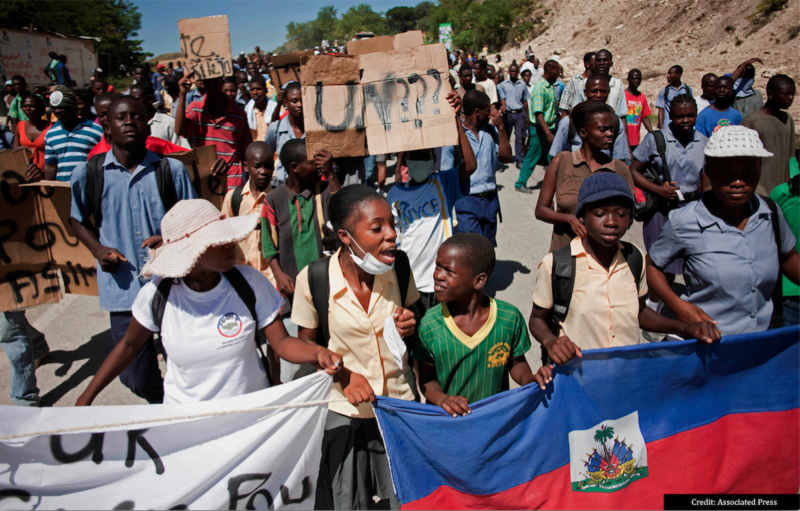 The cholera epidemic, which took the lives of 10,000 Haitians and sickened hundreds of thousands, was imported by U N peacekeepers in 2010. This admission marks a significant breakthrough because for five years there has been a steadfast denial at the highest levels. The official language of the admission states that the epidemic “would never have broken out but for the actions of the United Nations.” Hopefully this serves to prove that it is never too late to do the right thing. The Olympic Games in Rio De Janeiro are winding down this week. After the closing ceremonies on Sunday, the venues will be silent and there will be only memories of victory and defeat. As the games began, there was ample coverage of the beauties of Rio. Much of the initial coverage centered on one of the seven new wonders of the world, the statue of Christo Redentor. The Christ stands with arms extended as if to hold the city and the nation in embrace. The statue is massive, 125 feet tall, towering over 2500 feet in the sky on Mount Corcovado. The statue presides over the beauty of Rio De Janeiro as well as its misery. All down the hillsides lay the favela, seedbeds of poverty and disease, and nesting places for crime. Sadly Christo Redentor does not see any of this. The statue is blind. The eyes of the Christ are vacant without pupils. Without an iris. Jesus Redentor is unable to see.